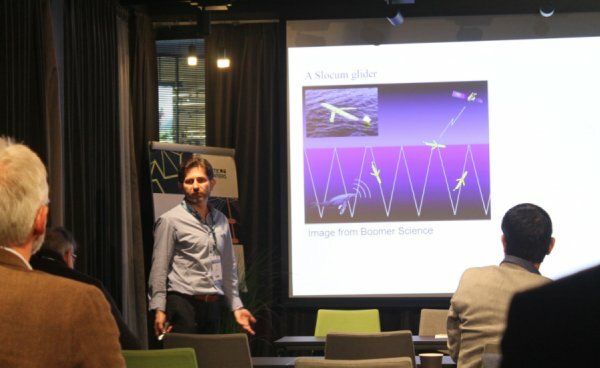 SIOS organised a side event at Arctic Frontiers 2019 entitled "Building a coherent observing system - the role of innovation and technology". The aim was to explore the need for and possibilities of new technologies and innovative observing methods in the Arctic. Apart from providing new sets of measurements, such innovation can make research more cost efficient, decrease its environmental impact and help to adapt to future conditions caused by a changing Arctic. The side event highlighted the opportunities for developing and testing new techniques within Earth observation when many disciplines and international institutes cooperate closely to build a common observing system, like they do in SIOS. Rune Storvold from Norut Northern Research Institute talking about the new SIOS Research Aircraft in Svalbard - sensors, capacities and opportunities for Arctic science. There was also a summary of innovative applications of remote sensing technology within the SIOS consortium, presented by our remote sensing officer Shridhar Jawak. The event was introduced and moderated by SIOS director Heikki Lihavainen. A poster displaying Copernicus related activities was presented to highlight role of SIOS as a northernmost Copernicus relay during the entire event. 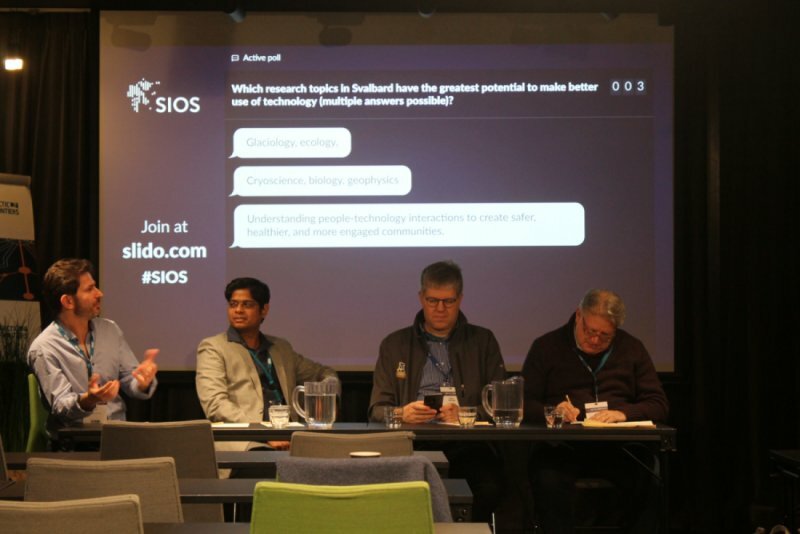 The presentations were followed by an interactive Q&A session, where the audience could use Slido to ask questions and to answer a poll about the use of innovation in SIOS. The poll demonstrated there is significant interest in greater use of new technology and other innovations in SIOS, with over 90% of respondents stating this was important. The top reasons for promoting innovation were better data, smaller environmental footprint and better spatial coverage of observations. The main barriers identified were cost and lack of supporting infrastructure. Overall, the repondents felt there was potential for better utlisation of technology in a diverse range of fields, from biology, oceanography and glaciology to climate and safety research. Specific technologies that were mentioned were remote sensing, machine learning and Internet of Things. Another important point made was that we must not assume innovation is only about technology, and forget about people and social innovation. SIOS will address the opportunities and barriers identified. Already SIOS is increasing the potential for using innovative technology by providing funded access to field sites and by coordinating funding applications such as SIOS-InfraNor. By sharing infrastructure and data SIOS members are between providing a better spatial coverage of measurements than any one of them could by themselves. It is however clear that SIOS could and should do more to promote innovation in Arctic Earth System Science, for the benefit of researchers, the environment and society as a whole. You can read the full results of the Slido polls and look at the slides for all five presentations in the attached PDF files.